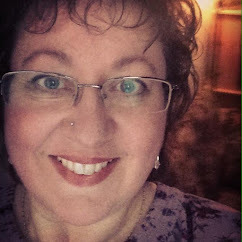 Edain Duguay: New Book Release! 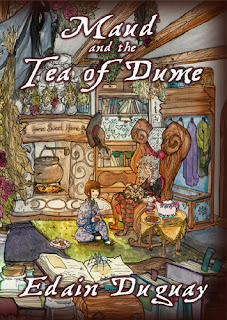 At long last, the time has come for Maud and the Tea of Dume to be released upon the world! I thoroughly enjoyed writing this book as it's so very different from any of my others, I got to let my imagination run away with me and built a wonderful world full of Magic, Tea & Witches. 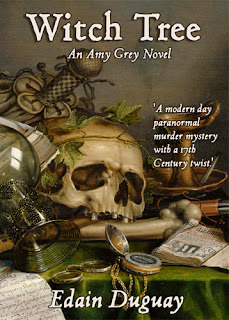 You are invited to the Launch Party which is being held on the Facebook page for this series and join in on the fun. The book is suitable all ages and is now available in paperback and ebook formats. You can buy the paperback directly from me, presently, and it will shortly be up in Amazon, Barnes and Noble, Waterstones and Chapters. You can get the ebook from Kindle, iBooks and Kobo. And, remember, for every copy sold, whether it's a paperback or an ebook, a tree is planted in a deforested are of the world!